You are here:Home » Category: "On the water"
What will happen to cross-Channel sailing if the UK leaves the EU? 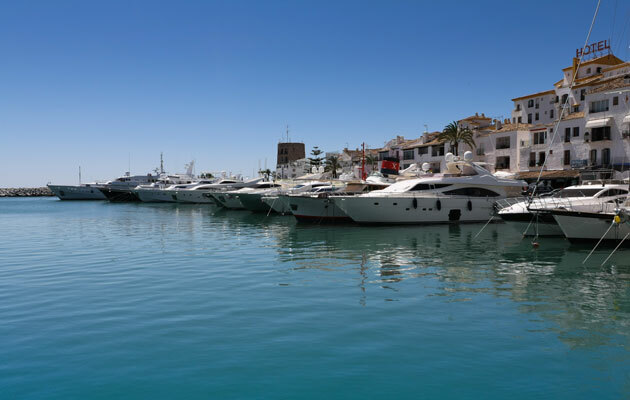 Practical Boat Owner: With public opinion closely divided ahead of the ‘Brexit’ referendum on whether or not the United Kingdom should remain part of the European Union, we look at what it could mean for recreational boating. A referendum is being held on Thursday, 23 June to decide whether Britain should leave or remain in the European Union (EU). 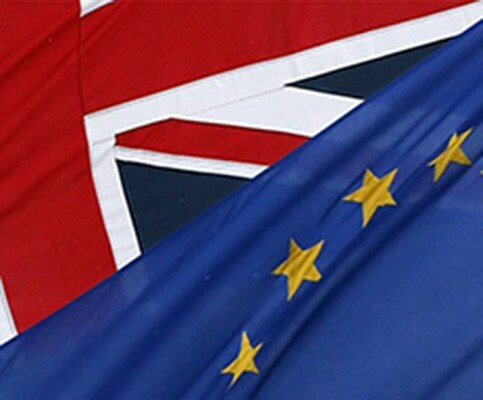 With latest polls suggesting public opinion is closely divided on Brexit (the potential ‘British exit’ from the EU), we discuss with the Royal Yachting Association (RYA) what it could mean for recreational boating. If the United Kingdom left the EU, would it ensure the continued availability of red diesel for the leisure boating community? Or a return of the two-hour wait on your boat for customs officials when returning from France? Gus Lewis, legal and Government affairs, spokesman for the RYA, told PBO: ‘The short answer is nobody can possibly know. ‘There seems to be a view in some quarters that if the UK votes to leave the EU on 23rd June then somehow everything will change on 24th June but the EU Treaty itself anticipates a two-year timeframe for exit and the eventual withdrawal agreement requires the approval of the European Council and the European Parliament. Some say it could take at least 10 years for the Government to negotiate the terms of the UK’s future relationship with the EU. Gus added: ‘The UK’s relationship with the rest of the EU has built up over 40 years. The way that the UK was before it joined the European Community offers very little insight into how the UK might be in a few years’ time if it were to leave the EU. A PBO reader asked whether leaving the EU would mean sailors requiring French certificates of competence to sail in French waters. Gus said: ‘The requirement for qualifications when you go overseas is generally specified in national legislation, nothing to do with the EU. What is the process if the UK votes to leave the EU? Article 50 of the Treaty on European Union provides a mechanism for the voluntary and unilateral withdrawal of a country from the EU. An EU country wishing to withdraw must notify the European Council of its intention to do so. The council is then required to provide guidelines for the conclusion of an agreement setting out the arrangements for that country’s withdrawal. This agreement would be negotiated by the EU with the departing country, taking into account the framework for the country’s future relationship with the EU. The agreement is concluded on behalf of the EU by the Council, having obtained the European Parliament’s consent. The EU treaties cease to apply to the country in question from the date of entry into force of the agreement, or within two years of the notification of the withdrawal. The Council may also decide to extend that period. In other words, a significant period of time would elapse between the electorate voting to leave the EU, should it choose to do so, and the UK’s eventual exit from the EU. What is the RYA doing? Should the UK vote to leave the EU then the RYA would, of course, engage with the relevant Government departments in an effort to minimise any impact on recreational boaters. For as long as UK boaters wish to voyage across the Channel, the Irish Sea or the North Sea (whether or not there is an EU and whether or not the UK is a part of it) the RYA has an important role to play in lobbying European institutions to ensure that boaters may do so with the minimum of regulatory interference. It’s worth noting in this context that the European Boating Association is a Europe-wide (not an EU-wide) organisation, as is the UN Economic Commission for Europe (which created the ICC), so the RYA involvement in organisations such as these would not be impacted by whatever decision the UK makes on its membership of the EU. Pratical Boat Owner: A yacht that crossed the Atlantic after being abandoned more than a year ago has been sunk just as its owner made a last dash to retrieve it. Yacht owner Thomas Mallunat left the boat, Troll, in October 2014 near Bermuda because of a medical emergency with his wife. Spokesman for Defence Forces Ireland said the Naval Service received some correspondence from Mr Mallunat after the yacht had been sunk last month. Pratical Boat Owner: Eight sailors named as first athletes on the British teamsheet for the Rio 2016 Olympics. The British Olympic Association (BOA) today announced the names of the first athletes to officially join Team GB for the Rio 2016 Olympic Games. If follows the announcement of Paralymic sailor Helena Lucas being named as the first British athlete to be chosen for Rio, when she was selected for ParalympicsGB in April. A total of eight athletes have been selected across six of the 10 Olympic sailing events. 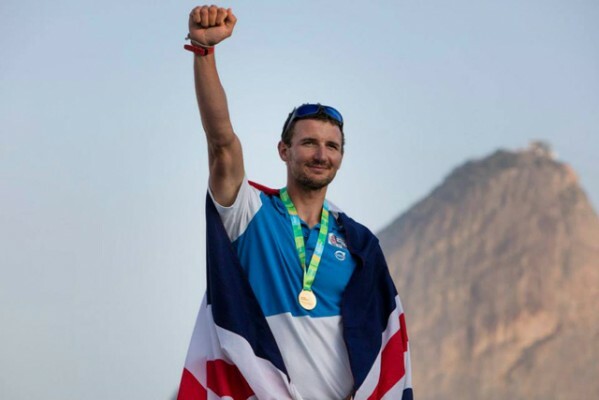 World Champion Giles Scott’s is the first name to appear on the Rio teamsheet, with the 28-year-old, unbeaten in almost two years, set to make his Olympic debut in the Finn class. London 2012 silver medallists Hannah Mills and Saskia Clark are paired together again in the 470 Women’s class while Luke Patience, who also won silver three years ago, teams up with two-time World Champion Elliot Willis in the 470 Men’s event. Bryony Shaw, who became Britain’s first female Olympic medal-winning windsurfer with bronze at Beijing 2008, is set to contest her third Olympic Games next year in the RS:X Women’s event. British sailors have established a proud tradition of excellence in Olympic competition, having won 55 medals – including 26 golds – since sailing made its debut at Paris 1900 with Team GB topping the overall Olympic sailing medal table. Mark England, Team GB’s Chef de Mission for Rio 2016, said: ‘The selection of the first Team GB athletes is a landmark moment on our journey to next year’s Olympic Games in Rio de Janeiro. ‘The eight athletes named today include Olympic medallists and World Champions, all of whom have earned their place in the 6 boat classes. As one of our most successful medal winning sports it is a fitting that Sailing kick-off our Rio 2016 team announcements. Team GB is calling on the nation to Bring on the Great in the run-up to Rio 2016 – and at the Games themselves – as our athletes gets ready to compete at the world’s greatest sports event. Fans can show their support by sending in their good luck messages on TeamGB.com and joining the new Team GB Club. These messages will be displayed on flags which will be given to the athletes travelling to Rio as well as featuring on Bahia Bands, a traditional Brazilian good luck bracelet, which fans will be able to buy later this year. Pratical Boat Owner: A yacht made a Mayday call after losing power and getting caught in the tide off Carnac Point, Inverness. Volunteers from RNLI Kessock were mustering ahead of routine training exercise when they overhead the VHF Mayday call and established that they could see the stricken vessel from the lifeboat station. They launched the Atlantic 85 Class lifeboat with four crew aboard at 10.50am. 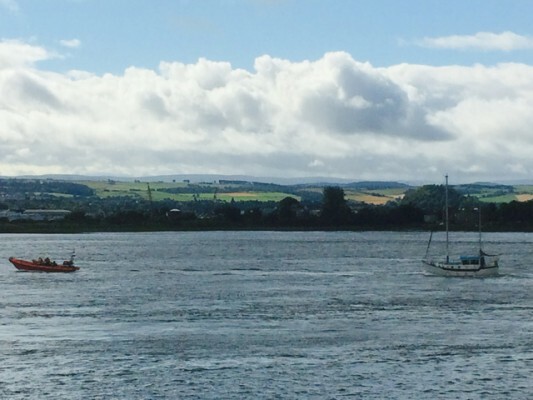 The 28ft yacht had been leaving Inverness when it lost all power as it rounded Carnac Point. It started to drift on the fast incoming tide towards the old slipway at South Kessock. The two crew aboard the yacht dropped their anchor but this failed to hold in the fast flowing tide. A towline was quickly attached to the disabled vessel before it ran aground or hit the slip way. It was towed back to Inverness Marina where Inverness Coastguard Team helped the volunteer crew secure the yacht in a berth. 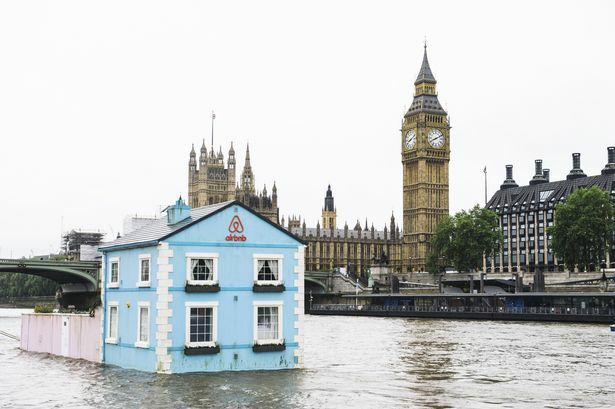 Yachting Boating World: A fully functioning house was seen floating down the Thames in the centre of London on Monday morning as part of a promotional campaign for home share service, Airbnb. The floating property is travelling down the river Thames to celebrate new rules that mean Londoners, like the rest of the UK, can earn a up to a 15 per cent pay rise by sharing their homes through sites like Airbnb. Passing under the Tower Bridge before gliding past the Houses of Parliament and the London Eye on its maiden voyage, the floating house will meander along the river throughout the week until Saturday 23rd May 2015. The property consists of two bedrooms, a living room, working bathroom and even a garden complete with real glass, a doghouse and an apple tree. Sitting at an imposing eight metres tall and weighing in at 70 tonnes, the structure was built by production company Star Events over the past four months. Crossing local neighbourhoods such as Chelsea, Westminster and Canary Wharf, the house will hold community events and overnight stays throughout the week before opening its doors to one lucky competition winner and three guests, who will stay overnight on Friday 22th May 2015. Guests will enjoy spa treatments, as well as a private dining experience with food personally prepared by Robert Ortiz, head chef of Peruvian and Michelin-starred restaurant Lima and Lima Floral. Yachting Boating World: A teenager has died following a tragic speedboat accident in Brixham on Saturday morning, May 2nd. 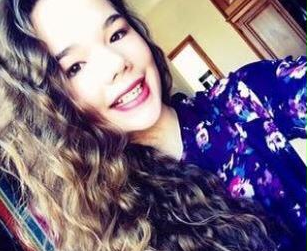 Police have identified the victim of a speedboat accident as 14-year-old Emily Gardner from Gloucester. The 14-year-old, who police have named as Emily Gardner, was trapped underneath the small vessel after it capsized with three other people on board. The coastguard and police were alerted to the incident at around 12pm, with lifeboats, a helicopter and specialist dive teams all attending the scene. RNLI crews were able to release Emily from the 16ft speedboat before taking her ashore and handing her into the care of waiting paramedics. She was taken to Torbay Hospital by ambulance in a critical condition but was sadly pronounced dead a short time later. Her family have since made a tribute to her, saying: “Our beautiful Emily was a caring, loving, gentle daughter and sister. She was full of life and had the world ahead of her. She was our diamond, now shining bright in the sky. A 50-year-old man and two of Emily’s school friends were also on board the boat when it capsized and were taken ashore by jet skis before lifeboat crews arrived. All three were taken to hospital by ambulance with minor injuries and have since been discharged. The 16ft speedboat, which was believed to be privately owned, has been recovered and taken to police premises for examinatio, along with the jet skis. A joint investigation is now underway between local police and the Marine Accident Investigation Branch. 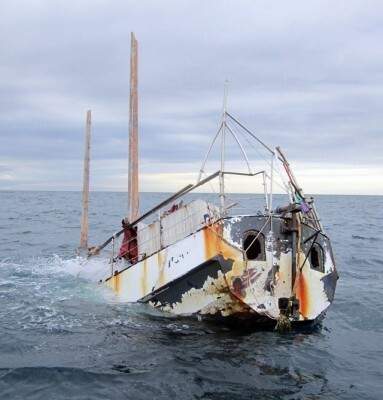 Pratical Boat Owner: The Marine Accident Investigation Branch (MAIB) report into the loss of the yacht Cheeki Rafiki and its four crew in the Atlantic Ocean, approximately 720 miles east–south-east of Nova Scotia, Canada on 16 May 2014. Almost a year after the sailing community was shocked by the sudden and tragic loss of the British sailing yacht Cheeki Rafiki and its four-man crew, the findings of an official investigation have been published. Despite an extensive search that found the upturned hull of the yacht, the four crew remain missing: Skipper Andrew Bridge, aged 21, from Farnham, Surrey and crew Paul Goslin, 56, from West Camel, Somerset; Steve Warren, 52, from Bridgwater, Somerset and 22-year-old James Male from Romsey, Hampshire. At approximately 0405 on 16 May an alert transmitted by the personal locator beacon of Cheeki Rafiki’s skipper triggered a major search for the yacht involving United States Coast Guard fixed-wing aircraft and surface vessels. At 1400 on 17 May, the upturned hull of a small boat was located; however, adverse weather conditions prevented a closer inspection and the search was terminated at 0940 on 18 May. At 1135 on 20 May, following a formal request from the UK government, a second search was started. At 1535 on 23 May, the upturned hull of a yacht was located and identified as being that of Cheeki Rafiki. On investigation, it was confirmed that the vessel’s liferaft was still on board in its usual stowage position. With no persons having been found, the second search was terminated at 0200 on 24 May. Cheeki Rafiki’s hull was not recovered and is assumed to have sunk. In the absence of survivors and material evidence, the causes of the accident remain a matter of some speculation. However, it is concluded that Cheeki Rafiki capsized and inverted following a detachment of its keel. A recommendation has been made to the British Marine Federation to co-operate with certifying authorities, manufacturers and repairers with the aim of developing best practice industry-wide guidance on the inspection and repair of yachts where a glass reinforced plastic matrix and hull have been bonded together. A recommendation has also been made to the Maritime and Coastguard Agency to provide more explicit guidance about circumstances under which commercial certification for small vessels is required, and when it is not. Motorboat & Yachting: Nautibuoy is set to unveil its inflatable yacht pontoon at the upcoming London Yacht, Jet and Prestige Car Show. The latest line in superyacht toys is due to arrive in London next month, with the launch of the Nautibuoy inflatable yacht pontoon. Designed by Nina Anderson and Clay Builder, two former superyacht crew members, the Nautibuoy can be used as a detachable swim platform or a jetski dock. It’s not just fun and games though, as the inflatable yacht pontoon can also be used as a base for carrying out cleaning and maintenance. Clay is keen to stress the Nautibuoy’s practicality, as even the largest 4.5m model can be inflated in less than four minutes. “The platform addresses the issue of misjudged jet-ski collisions, a considerable issue for superyachts, as the cost of damage is enormous,” he adds. Built from Hypalon, the pontoons are available in a range of configurations, including L-shaped and T-shaped. Nautibuoy will be exhibiting on Stand Q02 at next month’s London Yacht, Jet and Prestige Car Show, which runs at Old Billingsgate Market and St Katharine Docks from 8-10 April. Motorboat & Yachting: Steve Jobs’ yacht “Venus” squeezes through the narrow Simpson Bay lifting bridge in Sint Maarten. We’ve all had those berthing moments where the knees start to knock and palms begin to sweat, so just imagine being in the deck shoes of the skipper of Apple founder Steve Jobs’ yacht, Venus, as it edged through the narrow lifting bridge in Simpson Bay, Sint Maarten. Venus, a 260ft (78.2m) all-aluminium Feadship, is captured by a drone as it narrowly passes through the bridge, which links the glamourous Simpson Bay Marina to Simpson Bay itself, with queues of road traffic either side to pile on the pressure. Exact details about the yacht are closely guarded but it’s safe to assume that despite the slab-sided design, courtesy of Phillipe Starcke, slow speed control is excellent judging by the inch perfect adjustments made by the skipper in this ariel footage. Once free of the shackles of the marina, Venus has a clamied top speed of 22 knots thanks to a pair of MTU 4,000 M73 diesels.